Tallinn Fall Race 10km, Estonia’s most popular recreational race, is held for its twentieth time this year. The first ever Fall Race that took place in Tallinn’s city district of Rocca al Mare on September 3, 2000 rejoiced in the participation of 1,869 running enthusiasts. The race included a half marathon, 4 km and 10 km races, and kids’ races. The winner of the half marathon was Pavel Loskutov who boasted an Estonian record time of 1.03.23. 2019 marks the passing of thirty years from the first marathon held under the name of Tallinn Marathon. Approximately 100 runners took part in the race held on July 1, 1989. 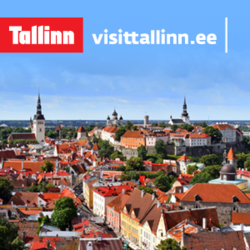 Tallinn was first mentioned in writing in the Livonian Chronicle of Henryin connection to a battle that took place on June 15, 1219 between Danish and Estonian forces and in which the Danes secured a hard-won victory. As legend has it, luck turned in favor of the Danes after a white banner with a red cross – present day Danish national flag Dannebrog- fell from the sky. As a final accord to the birthday bash, the organizers of Tallinn Marathon and Fall Race 10km seek to attract more than a quarter of a million participants. Tallinn Fall Race 10km, held every year as from 2000, and Tallinn Marathon, held consistently as from 2010, have thus far lent momentum to a total of 226,713 recreational athletes. 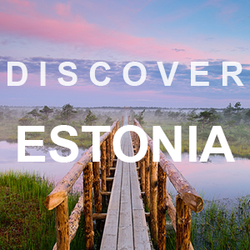 To attain 250,000 participants, Estonia’s largest race in 2019 must secure the participation of 23,287 running enthusiasts. The anniversary scented 2019 program for Tallinn Marathon and Fall Race 10km that involves thousands of running enthusiasts and recreational athletes kicks off on Friday, September 6 with the five kilometer We Run Tallinn (Nike Youth Race), continues on Saturday, September 7 with Mesikäpp Kids’ Races and the 10 km Fall Race, and draws to a close on Sunday, September 8 with the classic marathon (42.2 km) and half marathon (21.1 km). To the birthday bash are heartily invited all recreational athletes that have participated in the event throughout the years as well as those just getting started. There are running and walking distances suited to every fitness level and medals handed out to participants will indeed be worthy of the anniversary.